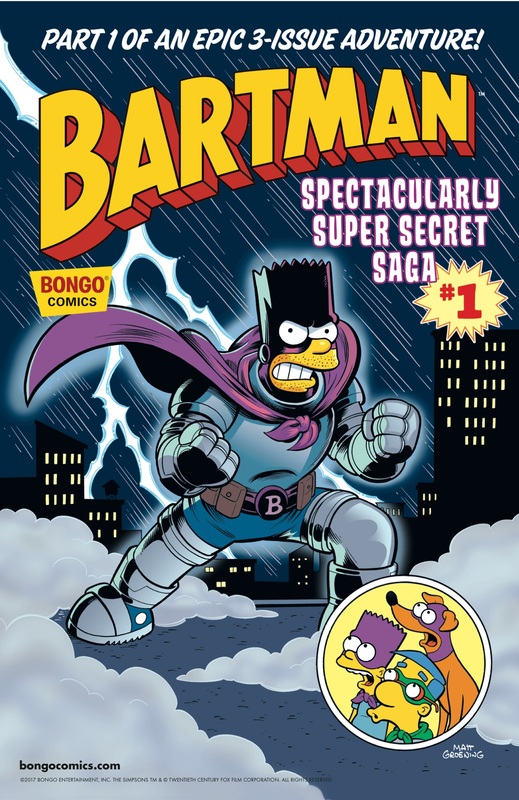 Bartman Spectacularly Super Secret Saga #1 is an issue in the Simpson Comics One-Shot Wonders series. It the first of three issues in the series and was at Simpsons Store released on August 16, 2017. Modified on September 26, 2017, at 16:42.